Always trying to find a great deal or something inexpensive in a Laptop. Well even in the wake of the disaster in Japan and the threat of electronics to go up we have a special today. Item must be ordered and the price will only be good as long as our vendor can supply them. Let our in shop tech move your files from an old system, install all security packs, and install up to 5 software packages (customer supplied) for $92.50 and we will deduct an additional $15.00. 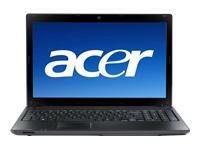 That is right we will bring the price of the laptop down to ($423.50 or $410.50). A geat deal presented by www.end2endsupport.com. « Tech and Consumer Electronics hit by Earthquake in Japan.